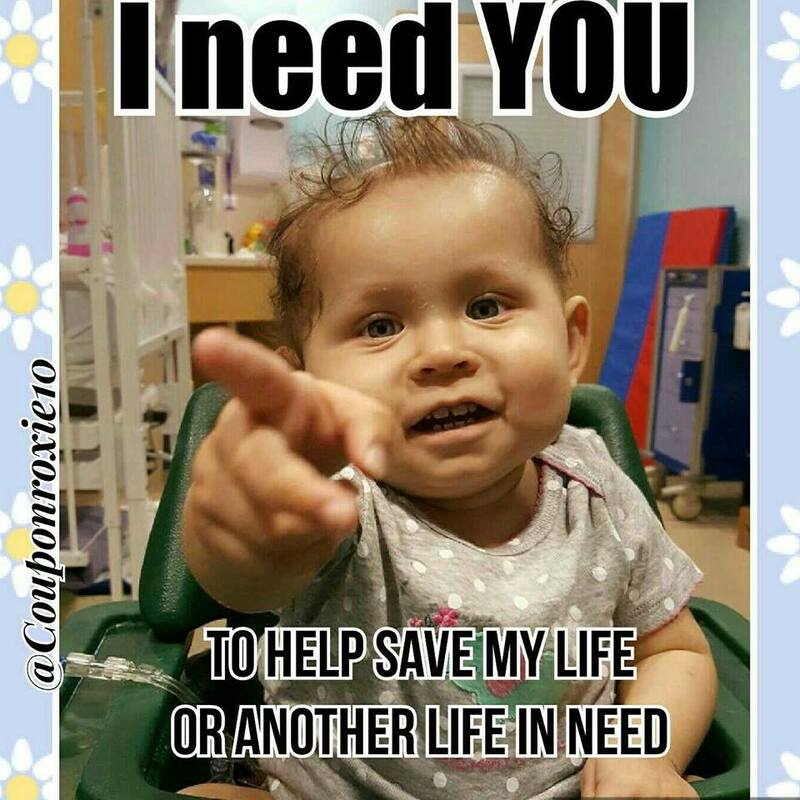 As I enter "peak week" for my 1st competition of 2017 I have some big motivation coming from a tiny little girl not only fighting actue myeloid leukemia .. but hoping a match will be found to donate life-saving bone marrow before time runs out. Prep With Purpose has made such a difference in my life. I started it a year ago and have lifted up and for dozens and dozens of people as I head to the gym, at the gym, while I run and random times throughout the day. Putting someone else in my heart and also using them as motivation has really changed my metal game. I pray that if you are reading this you will join me in lifting up and for the people that I post! This week .. I am sure little Emilie's and her family would appreciate it. I don't know Emilie or this family. I discovered them on Instagram by simply searching the hashtag #childhood cancer ... in hopes of finding someone special to lift up and for during my Peak Week for Salt Lake City Showdown. Emilie was born a healthy baby. 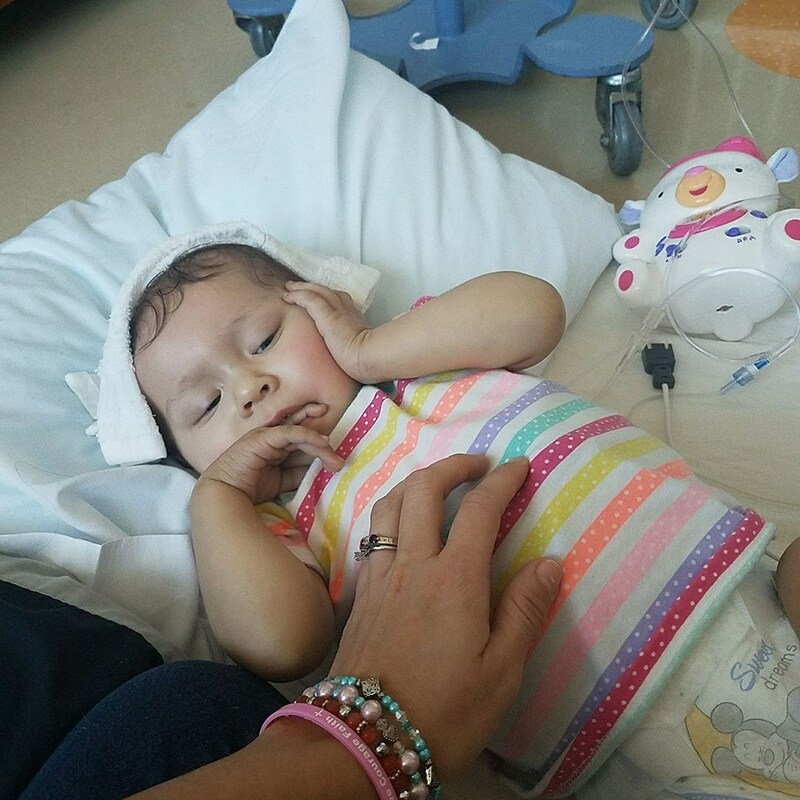 Then at only 9 months old she was diagnosed with Acute Myeloid Leukemia. Little Emilie started chemo about a month and a half ago and as of last week has undergone 3 chemo treatments. But for Emilie .. chemo will not be enough. 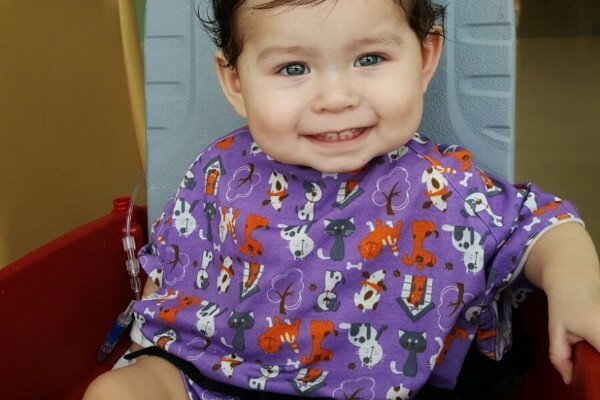 Emilie needs bone marrow from a donor and only has 3 months to find a match. A radio station in her hometown has set up a drive on 4/20 for people to come and get swabbed and tested. But ANY of us can order a swab to see if we are a match for not only Emilie ... but anyone in the system that needs a match. Her mom made this post on Facebook to answer questions people may have. 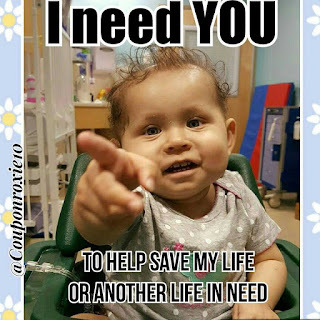 **What will happen if Emilie doesn't find a100% matching donor? Her father is a 50% match so he will be used as the donor, the recover time is longer. **If I'm not in your sate where can I order my free cheek swab test? Emilie's mother has locations in her area posted HERE on her FB Page. They are located in Florida. **How if the procedure done if I'm a match? **I am on the registry how can I see if I match Emilie? As you see above in the "how can you help" question, a family friend has also set up a Go Fund Me Page to help the Meza family with any food, gas, toll payments to cross the skyway bridge, or any expenses there family will need to get through this difficult time since Emilie's mother will not be working to be with Emilie. As with anyone I do not PERSONALLY know ... I can not vouch for the need for this Go Fund Me Page. I can not imagine what not only little Emilie is going through .. but her parents and three siblings as well. I will be lifting them all up this week and praying that a match is found and little Emilie can be on the road to recovery very soon.